Unless you happen to be one of our 4000-odd freshers not yet up to speed with university goings-on (likely), or perhaps on Mars for the last week or so, then it is highly probable that you will have heard of the university’s controversial proposal to flatten Glasgow University Union’s 1960s extension which houses the Hive nightclub and replace it with a £9.2 million expansion of the Stevenson Sports Building. 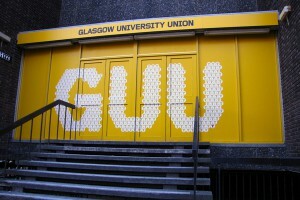 At the time of writing, almost 500 people have joined a Facebook group wanting to ‘Save the GUU Hive’, and it would be hardly surprising if a zero had not been added to that figure in the next fortnight. My purpose here is not to deride the viewpoint of those on campus who wish the Hive saved, nor am I here to offer any general support to the thus far generally unpopular policies of our Principal and his senior management group. I do, however, wish to articulate a line that is shared by a number of students on campus which may well be lost amongst the noise and publicity of the forthcoming protest against the management’s plans for the site to the north of 32 University Avenue. Firstly, and rather obviously, no one should be under any illusions as to the condition of the GUU extension. It was constructed forty-six years ago, making it older than the original ‘Hub’ (where the Fraser building now sits adjacent to the library), and the former Queen Margaret Hall of Residences. The Hub was deemed no longer fit for purpose- and indeed unsafe in parts- in 2003, three years after the former QM hall (now replaced with a residence of the same name) was demolished amid complaints over the dated nature of facilities. Very few Brutalist constructions from that era are immune from this criticism, and in recent years more and more have been reduced to rubble from a giant wrecking ball. It is therefore virtually impossible to claim that the current building could continue in its present guise for long, and I would defy anyone to suggest the extension has a long-term future without major investment of the level no student body on campus could hope to provide. Secondly, student social facilities are coming under greater and greater pressure from nightclubs owned by large corporations in the West End and city centre. The GUU’s membership has dropped significantly in the last decade- the vast majority of Glasgow University students will not hold a GUU membership card. Without action, there seems to be little reason to suggest that this will change in the short or medium term. Students are increasingly being viewed as consumers, and as a consumer, it takes a great deal of love and loyalty to the long-in-the-tooth GUU extension to want to spend one’s time there (beyond the first month of term for new and returning students) over the rivals. To my mind, this is the most serious problem facing any student organisation in the next ten years. Now, it should be noted here that in terms of floor space, the 1930 sandstone main building of the GUU is still far larger than the QMU or most social venues in the city, and suffers from a) an inefficient use of said floor space and b) the fact that it is almost never full. No business (and the GUU is trying to run itself like a business) can seriously contemplate a model whereby a big and expensive building is needed for one day in December and those costs are absorbed over the other 51 weeks of the financial year. In addition, like the extension, the main building is in dire need of significant TLC which no amount of paint can hope to gloss over in the longer term. It is to paper over the cracks of a wall that will fall down sooner rather than later. Now, to the intended protest. Most of the students that I have spoken to have said broadly the same thing: ‘But I love the Hive’, ‘What will I do on a Thursday now?’ or ‘I don’t want to have to travel to the city centre to go clubbing on a week night’. If a protest is going to be successful, it needs to have clear aims- and to preserve a rickety old building on the basis of naked self interest for the next couple of years of your degree is to put another nail into the coffin of the GUU and other students’ associations in this country. This protest only works- and should only be deserving of our support- if its aim is to secure a long term (and by that I mean by the time our children are at university) future for the GUU. This, with the best will in the world, will not be to persuade the university to build a new extension to a building which sits empty most of the year and still fails to address the fact that a lease with the Kelvinhall means significant investment on a one-day-a-week share of facilities which cannot legally be considered as part of the university’s expenditure on their own students. It would be money down the drain and make the university superficially appear to outsiders to not be spending on its most important asset: us. To this end, the protest seems short-sighted and unlikely to succeed, as since neither of the above options have much to recommend them, means that you then rely on the hope that the university backs one financially dubious decision up with another. Not something anyone should hurry to bet on. In fact, the worst result would be for the university to agree to keep their hands off the Hive for now, because in a couple of years it may well follow the QM halls and the Hub in being deemed unsafe and be pulled down anyway, with no hope of compensation to replace the facilities which have been lost. On the other hand, money to better utilise the latent space in the main part of the building and to refurbish the existing facilities to add in a new nightclub and bar or two could reasonably secure the future of the union into the 2030s. Remember: It is part of the university’s plan to move facilities in the future to the Western Infirmary in the next decade, with the probable effect that passing student traffic at the bottom of University Avenue will decrease markedly. Without an attractive environment to spend time in- which going on the evidence of the last few years the GUU is not often enough for most of the students at the university- the protesters might just be signing the death warrant for the union anyway, rather than saving it as they hoped. However, with a smaller, cheaper to run and hopefully higher quality offering in the GUU that is closer to capacity on a regular basis, the future could be a whole lot brighter. Therefore, my message to the university management (as well as those intending to protest) is to accept sacrifices need to be made. For the management, this should involve upping the budget of this new project to cover refurbishment of the GUU (else they might end up with another Hetherington-esque PR nightmare), and for the others it would be to recognise the inevitability of the end of the extension’s lifespan and that the union needs to be smaller and more efficient to survive. GUU President Chris Sibbald is absolutely correct when he noted that these proposals, given their detail, have evidently been in the pipeline for a significant amount of time and are as such going to be hard to shift. So now is not the time to get lost in the sentimentality of all the good times we had halfway up the podium over the years and to think about the opportunity this could present for significant investment in part of the GUU which would otherwise not have been possible. When we fight for the future of the union, we should be sure of what we mean by ‘future’, else it will have none.